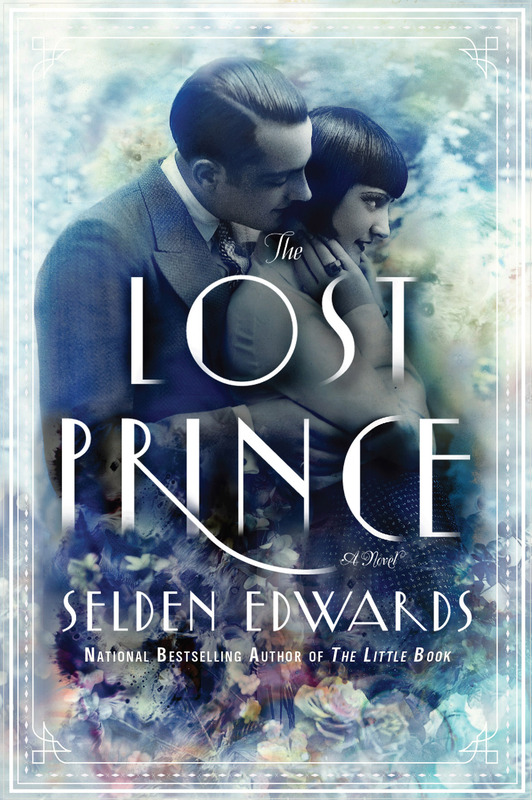 I’m so excited to welcome Selden Edwards in celebration of today’s release of his second novel, The Lost Prince. The Little Book, Selden’s dazzling 2008 debut, changed my perception of historical fiction—and the direction of my work-in-progress—when I happened upon it at Powell’s a few years ago. It’s a deeply satisfying, intricately layered story, mostly set in fin-de-siècle Vienna, although protagonist Wheeler Burden arrives there from 1988. Due to the time travel element, The Lost Prince is both a sequel and a prequel, and it features Eleanor Burden, one of the main characters in The Little Book. I can’t wait to read this compelling follow-up to one of my very favorite novels. Ever since I discovered Selden’s literary debut, I’ve been urging friends and fellow writers to read this marvel of storytelling. Those readers have then gushed about it to their friends. No wonder The Little Book became a big bestseller. 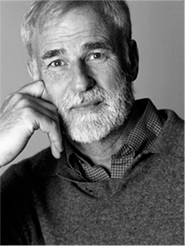 Selden’s journey to publication is as inspirational as his impressive debut novel, which he began drafting in 1974 at Stanford. More than thirty years later, he achieved a decades-in-the-making “overnight” success, when he found an agent and then quickly landed a publishing deal with Dutton. Not only is Selden an excellent example of the never-give-up ethos, his path to publication is a strong endorsement of the art of revision. “The story that is meant to be told percolates in between writings,” he told me. During his three decades working on The Little Book, Selden completed a new draft every six years or so, each time adding new elements and plot twists to achieve an exquisite complexity that’s artistic but also enticingly fast-paced. Keep reading to learn how the process of writing The Lost Prince differed from that thirty-year marathon. It gives me such joy to feature Selden Edwards, one of my personal heroes, as part of the Seven Questions series. I hope his thoughts on research, revision and process inspire you as much as they have inspired me. Welcome, Selden! 1. Tell us about your new novel, The Lost Prince. The Lost Prince, the World War I part of the story, is either a sequel or a prequel to The Little Book, depending on how you look at it. The story begins in 1918 when Eleanor Burden, the former Weezie Putnam, learns that Arnauld Esterhazy has been killed in battle on the Italian front, upending the future she knows is meant to be. She knows that if that future has any chance of being saved she must travel to the war zone to find him. 2. While working on The Little Book, did you envision writing another novel about the Burden family? What was it like to revisit the characters and tell a new part of their story? Selden Edwards’ second novel, The Lost Prince, is being released today. Shortly after I finished the final edits of The Little Book, I began to envision a trilogy featuring three eras of the family and three different psychologists as main characters. The Little Book features Sigmund Freud and could be considered a “Freudian novel,” so the second one, The Lost Prince, features Carl Jung and could be considered a “Jungian novel.” Number three, still in my head, will feature Joseph Campbell and the pre-World War II part of the story. All the characters move in and out of the complex flow of narrative. Needless to say, my publisher loves the idea of a trilogy, and I guess it sets the author up for three books, a good deal all around. 3. Many writers find research daunting. Any suggestions on getting started? Of course, when a novel germinates for thirty years, there is a lot of chance for research. I’ve never been a stickler for historically accurate details, but I do love history, and I know quite a bit of it. For this second novel, I read a few pivotal books, and I generalized quite a bit. I try to get the look and feel of a historical period and then describe what it was probably like, probably creating a few anachronisms and inaccuracies along the way, but so far it has worked well. I include famous historical characters, and their biographical details, of course, have to be accurate. But I never let fear of being wrong get in the way of my telling of the story or bog down the writing; on the other hand, I try for general verisimilitude. Wikipedia is, of course, a modern wonder and a way to make sure that you are at least in the ballpark of historical accuracy. 4. What are some techniques you’ve used to make the historical settings of your novels seem so fresh and real? Good question. Here is where one can’t let accuracy get in the way of the story’s appeal. In the early stages of The Little Book, I was writing a lot of cold hard tour-guide information about Vienna (I knew a lot), and it was sounding encyclopedic and unappealing, I realized. So I invented an eccentric character, an old teacher, the Haze, so that the Vienna descriptions could be subjective and have some zing. Look where that led. The new character took the story in a whole new direction and became the central focus of the second novel. It all started with wanting the descriptions of Vienna to be lively. In almost any historical setting, it is possible to find (or invent) details that make it interesting—sort of the Malcolm Gladwell approach. The Lost Prince takes place during World War I, and of course it is not difficult to find horrific details to make scenes come to vivid life. I read a great book called The White War for details. I guess as a general rule, one wants to go for liveliness and not allow all that one knows about the subject to intrude in the page-turner quality of the writing. 5. Selden, you mentioned you wrote a new draft of The Little Book every six years or so over the course of thirty-some years. Did the story change significantly with each draft, and does any of your original version remain in the published book? Of course, I didn’t intend to take thirty years. Each time I did a draft I sent it out, each time hoping that this one was it. The rejections always depressed me, and so I abandoned the project for awhile. But I kept the story in my head (I couldn’t get it out) and kept thinking up new character details and twists and turns. Each new draft was probably about twice as complex as its predecessor. Do the math: over thirty years, and five or six rewrites, that’s a lot of twists and turns. It was a relief to have it finally published so I could stop running the story over and over in my head. For novel number two, The Lost Prince, I had to work a lot more efficiently, but it was sort of the same process. There was a 50-page draft, a 150, a 300, finally a 600. Like that. 6. I imagine writing The Lost Prince was quite a different experience than writing The Little Book. What was the process like this time around? As difficult as it was to write The Little Book, which had a thirty-year trajectory of multiple rejections, being put away, and then rewritten, The Lost Prince presented different kinds of challenges. The first one is built on unfulfilled promise—there’s a lot of yearning and ambition—and to be honest, no realistic expectation from either the author or the indifferent world. Then, by some miracle, it gets accepted. The second one is the opposite because everybody is saying, “Okay, now what are you going to do?” And there’s the nagging fear that when it comes out, people are going to say, “Well, it’s certainly not as good as the first one,” and of course there’s the accusation of being a one-trick pony. I just had to put self-doubt aside and move forward one step at a time. “Slow and steady wins the race,” my father used to say. 7. Your literary success and your never-give-up attitude are a great inspiration to many writers, including me. What is your advice to writers who are struggling with rejections? Yes. I will say that my sticking with it after absolutely no encouragement for all that time amazes even me. Why did I do it? I did have a day job. But I just liked the process of writing, unproductive as it was, and I just couldn’t abandon my “Vienna novel.” And my characters—all extensions of me, I suppose—I loved them of course and couldn’t abandon them. It was getting nowhere, but if I’d stopped writing, it certainly wouldn’t have gotten anywhere. Part of me was saying, “This is a hunk of junk and a waste of time.” Part of me was saying all the time that this is MY story, and I have to keep telling it until it is ready to share with the world, as indifferent as that world seems. My main advice is “Keep Writing!” As depressing as the rejections are, just remember that there are lots of publishers out there. In the meantime, finish each draft (always finish! ), and keep studying great fiction and writers you admire. And go to writers’ conferences: they’re inspiring, if not good contact. Keep thinking up character surprises, and twists and turns. Always think “page turner.” In all these regards, make each finished draft much better than the one before. When, after my miracle happened, I asked my agent how it happened, he said, “Simple. We couldn’t stop turning pages.” So it’s that and NEVER GIVE UP! Selden, congratulations on the launch of The Lost Prince, and thank you so much for being part of the Seven Questions series. For more information on Selden’s incredible books, check out his website, www.seldenedwards.com. This entry was posted in Books, Fiction, Revision, Seven Questions, Writing and tagged Dutton, novel, selden edwards, The Little Book, The Lost Prince. Bookmark the permalink. A very inspiring interview! I think we all need to hear that from time to time, whether it’s about not giving up on writing, or going after any dream. It also sounds like a great read. I’m going to add it to my TBR list. Very true, Emma. It’s always great to be reminded to keep going, especially in the face of rejections, or exhaustion, or disappointment, or whatever forces are dragging us down. Ooh, I love WWI stories. I can’t wait to find these two. I thought you’d be interested, Faith! Well-written historical fiction is always exciting, and Selden’s work is incredible. I have been counting down the days to this release since I found out there would be a sequel/prequel to The Little Book. Good interview. Persistence, certainly, but also patience, since he spent all those years not only submitting but also editing and improving. And, yes, always finish the draft. Good advice. And I also liked the point about not letting accuracy get in the way of the story. Shakespeare never did (to give one example 🙂 ). Patience indeed! I love the idea of keeping a story growing through several decades. Its richness really reflects that germination, but from what I’ve heard The Lost Prince is as dazzling and detailed as the first book. The accuracy bit tripped me up so much when I first started writing historical fiction, and Selden’s advice helped me just get moving through the story, which was essential at that point. I’m using history in a more organic way this draft, again to his point. I have been looking forward to this interview ever since you first mentioned Selden Edwards and The Little Book. I did go to the library, checked it out, and devoured it. I was entranced by how he was able to use history to tell his story, really drawing off of historical events to create this whirlwind of a novel. Even when I knew how it had to end, I was still surprised at how fluidly it all came together. 30 years is an amazing commitment in one way, but in another way, I can’t see how it would be different if you believe enough in your book. I, too, cannot imagine abandoning my characters after so much time with them. They are a part of us writers, for sure. Thank you for a wonderful, uplifting interview. I am eager to read his new novel. I’m so glad you read The Little Book, Kathryn! It’s amazing, isn’t it? The interplay of fact and fiction is so compelling. I love the idea of working on the same project, bettering it each time around, over several decades. It’s so wonderful that Selden figured out how to keep his story world alive for more novels. The Lost Prince arrived by mail yesterday. I preordered for the first time in my life and it’s so pretty all I’ve done is stare at it longingly and show it off to my neighbor, who borrowed my copy of The Little Book a few months ago and adored it. Your protagonist Jan Sleet would be very offended, I imagine. Wonderful interview! And while the thought of so many years to publication is daunting, there is also a strong element of vindication in believing in one’s book. I hope I have what it takes to stick with mine for so long if need be. It’s really true–we have to believe in our books until they’re fully formed, and ready to have someone else believe in them. Fantastic interview, and the first thing I did after reading this was buy the first. Can’t wait. Thanks! Excellent, Rachael! Thanks for stopping by, and I hope you love Selden’s work as much as I do. Great interview. Persistence and patience are so important, and working hard and really being honest with yourself… and be willing to learn what you don’t know. So true, Jennifer. That willingness to learn can be tough, because it means admitting what you don’t know, or how your work isn’t working (yet). Which goes back to your point about being honest with yourself. Laura, you consistently do really great interviews, and that is a great skill. Thank you for sharing this. Thank you, Naomi! As a former reporter, it’s really fun to do this kind of feature. Plus I absolutely adore spotlighting writers. This is such a great and inspirational interview! It just goes to show you that perseverance pays off! Thanks for coming by the party! I hope you click on a few links. Then they will click back to mingle! Thanks, Susie! Selden is definitely an inspiration. I adore this interview. The love you have for the work of this author shines through. Seldon is a true inspiration to every writer. One of the lines that resonated with me was when he said, “The story that is meant to be told percolates in between writings,” A statement that is absolutely true. When we live with characters for months and years, certain we’ve nailed them and send the story out only to receive rejections, the experience makes a dedicated teller of stories strive to improve and expand the work. Can’t wait to read both novels. I’m delighted to have found you, Laura, from Susie’s party.